Director Jason LaMotte was profoundly affected by his neighbourhood library in Houston Texas – and the magical feeling it carried was the inspiration behind his new film The Library. The story told in The Library initially came from wanting to explore the relationship between memory and place. I have strong recollections of my neighbourhood library in Houston, Texas in the US. I can recall the layout, where certain sections of books were, the smells, and the sounds. And it still carries a magical feeling for me, this special kind of sanctuary full of knowledge, full of stories, all covered in a sense of quiet respect and revery. 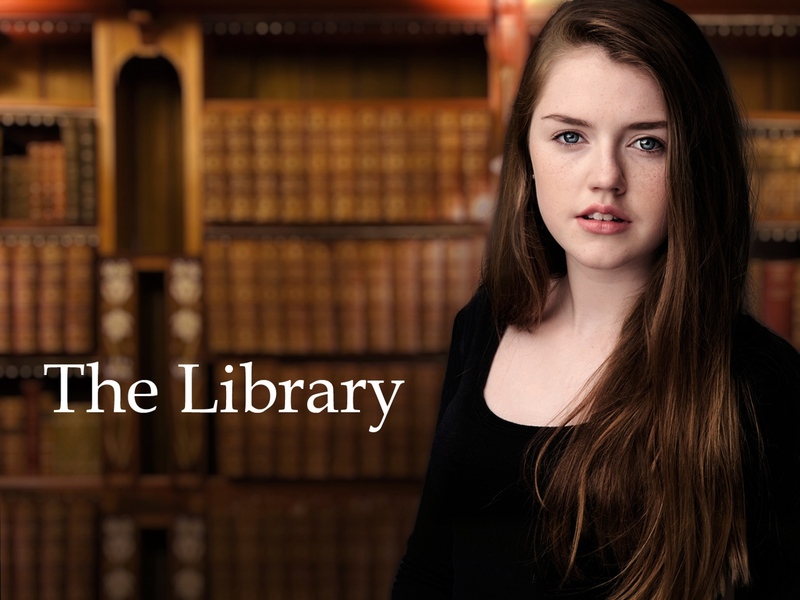 The Library is the story of a 13-year-old girl, Emily ((played by Missy Keating) who rides her bike to the library each day after school. She begins receiving notes slipped to her by a secret admirer, one of the two boys she regularly sees in the library – or so she thinks. These notes correspond to romantic passages in the old books in the library shelves, passages Emily repeats to herself with nervous excitement as each subsequent day brings another note and romantic passage. As the film plays out, we discover along with Emily who has written the romantic notes. It’s a film about first love, about libraries and the writing they are home to, and about the sadness that surrounds dementia. I hope you enjoy watching our film as much as we enjoyed making it!